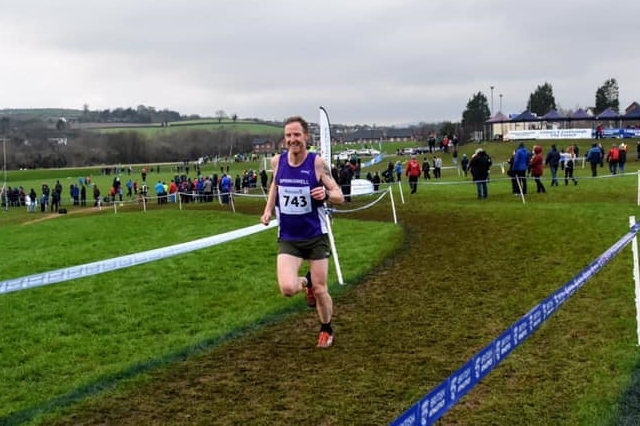 This year’s IAAF International, Celtic & Home Countries Cross Country Championships took place on Saturday 19th January at the Billy Neill Playing Fields on the Comber Road in Belfast. This was the first time that this prestigious event had been held at this venue, having been held previously at Antrim and Dundonald. The new venue was well received by the athletes and, judging by the increase in the supporting crowds, by the spectators as well. The cool, calm, overcast weather provided excellent running conditions and some top class competition. The 10k International Men’s race was once again dominated by the African athletes with Birhanu Balew (Bahrein) winning in a time of 29.42, closely followed by Richard Yator (Kenya) in 29.46 and Chala Beyo (Ethiopia) in 29.48. Springwell RC had three members taking part in this event with Neil Johnston the first finisher in 38th place with a time of 33.29. Luke Dinsmore, who was representing the NI U23 International Team, was 52nd in 35.16 and Simon Stewart finished in 55th place in 36.05. 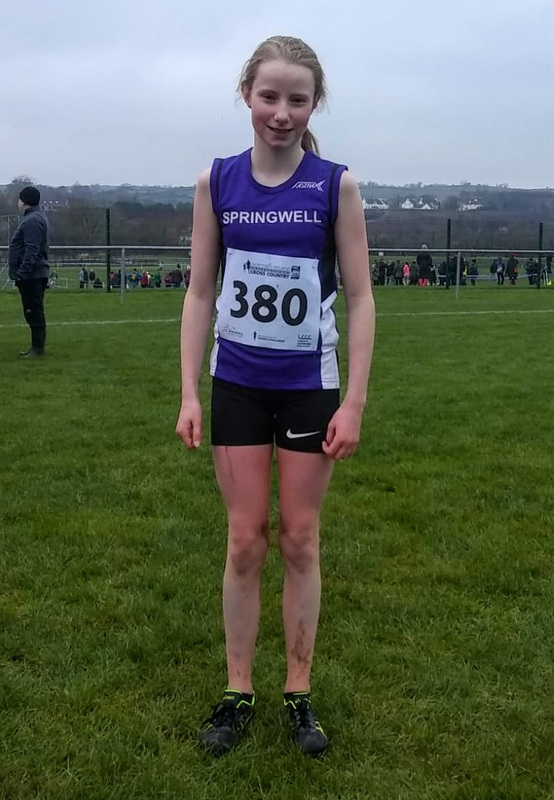 The junior races associated with this event saw 12 of Springwell RC’s young athletes produce some excellent performances and gain some valuable experience. The Flahavans Primary School Cross Country Race saw three of Springwell RC’s juniors taking part with Eobha McAllister, the winner of the Causeway Region, finishing 6th in 4.49. Her younger sister Adria, who has another year in this competition, was 22nd in 5.20 and Eva Fell was 39th in 5.46. In the U13 Girls Maira Clements was 31st in 9.03 and in the U15 Girls Niamh McGarry was 30th in 13.11. Springwell RC’s U15 Boys produced some excellent performances and with Matthew Beveridge 10th in 10.45, Ryan Smith 11th in 10.47 and Roan Wilson 24th in 11.20 the deservedly won the team event. The U17 Boys saw Jack Culbertson 45th in 22.33 and Andrew Gordon 56th in 23.42, while in the U20 Lady’s Hermione Skuce was 43rd in 17.07 and Rebekah Hunter 47th in 19.15. 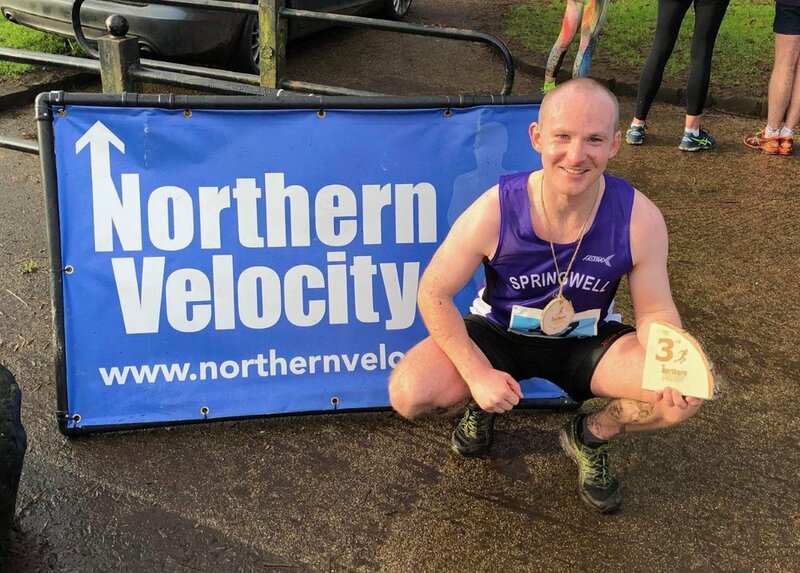 Hosted by local events management company Northern Velocity, the Garvagh 5 & 10k Trail Races took place on Sunday 20th January around the trails of Garvagh Forest. The overnight rain left a lot of puddles on the lower trails, which quickly turned to mud as over 130 runners raced around the 5k course. The weather on Sunday morning was ideal for running as the rain gave way to cool, dry and calm conditions with the sun making an effort to break through the clouds. Starting at the Carhill Road entrance to the forest the course travelled clockwise round the forest, with a steep climb after 1.5km after which the trail gently climbed for another kilometre before the runners benefited from the descent back to the start, which was only interrupted by a short, sharp climb after 3.5km. At the end of the second lap it was Seamus Bradley (Unattached) who crossed the line first in 36.17 with the in-form Lee O’Boyle (Mallusk Harriers) second in 36.59. Competing in his first race for Springwell RC, Christopher McNickle finished in third place in 38.53. In the Lady’s race it was a close contest between Dawn Houston (Eglinton Road Runners) and Siobhan Gallagher (Letterkenny AC) with Dawn the eventual winner in a time of 44.36. Siobhan was second in 44.43 and Lisa Simpson (Acorns AC) completed the podium in 45.14. 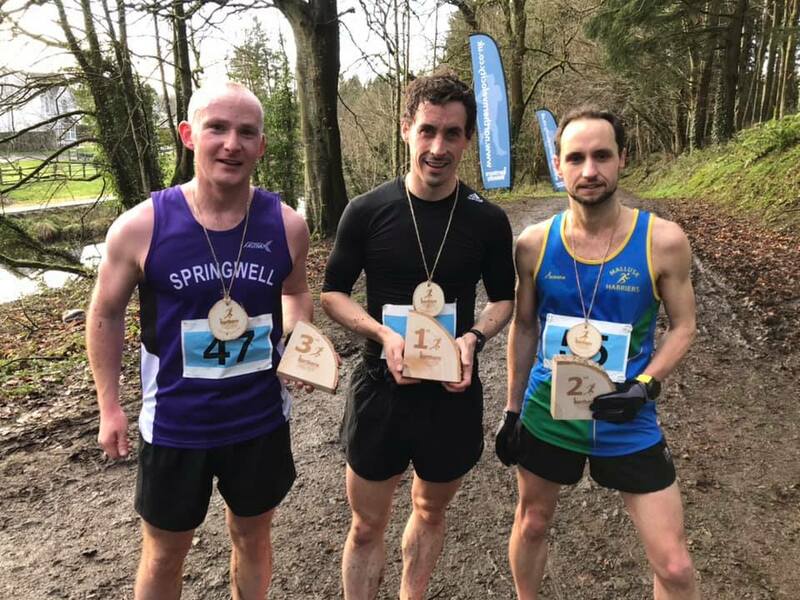 Springwell RC had another eight members in the 10k; 8th Darren Walsh 42.24, 10th David McGaffin 42.46, 15th Gearoid Conerney 44.45, 24th Simon McLean 48.05, 26th Ruari Bradley 49.05 42nd Pauline Mullan 52.52, 50th Alan McIlfatrick 55.28, 58th David Campbell 57.21. In the 5k race the mens event was won by Eamon Kerrigan (Derry Track Club 17.45), Diarmuid Logan (Acorns AC) was second in 18.01 and Andrew Falconer (unattached) completed the podium in a time of 19.18. In the lady’s race Elaine Connor (Derry Track Club) made it a double for the club in a time of 20.22. Samantha Linton (unattached) was second in 25.26 and Abbie Magowan was third in 26.37. 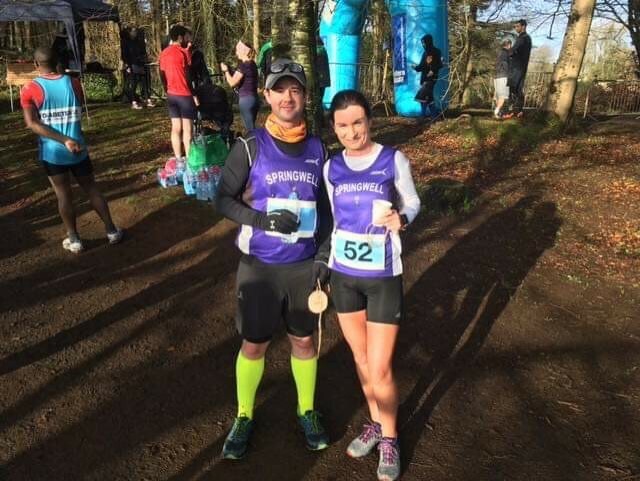 Springwell RC’s representatives were 8th Mervyn Thompson 22.48 and 31st Lara Walsh 33.04.